Arun Thalody poses for a photo after winning Mr. Seton Hill on Feb. 13 in Cecillian Hall. Photo by C.Arida/Setonian. 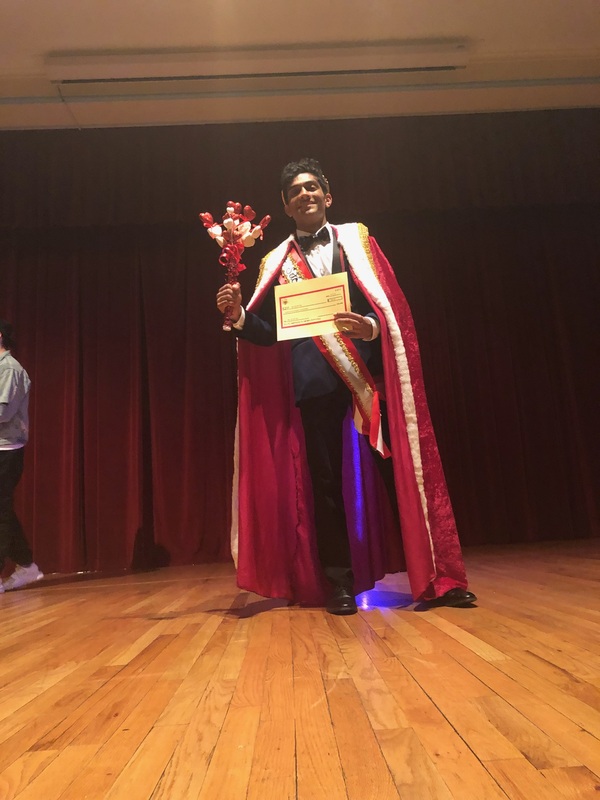 Arun Thalody, a junior biology major at Seton Hill University, was crowned the 2018 Mr. Seton Hill on Feb. 13 in Cecilian Hall. The competition, hosted by the Griffin Guides, is in its second year and shows no signs of slowing down anytime soon. That willingness to participate continued when Thalody came to SHU where he joined the Volleyball Club, became the vice president of the class of 2019 and became involved in other activities such as the Lip Sync Battle and dodgeball tournaments. After successfully making it through the Q&A, Thalody proceeded to take his talent very seriously as well. He started off his talent signing “Can’t Take My Eyes Off You” by Frankie Valli. When the song came to end and the audience started clapping, Thalody changed up the mood and turned on his dance moves with “SexyBack” by Justin Timberlake. After graduating in 2019, Thalody will go on to complete the program at LECOM where his dream is to become a successful physician. “Interacting with people is what I love most, and being able to do that and just knowing that people are coming to you because they can completely trust you and feel safe with you, that’s just a really beautiful thing,” said Thalody.